This village on the well-used B road that links Fishguard to Narberth and the A40, had the unenviable reputation, just a few years ago, of being one of the most deprived communities in Wales. But now it has had something of a resurgence, and has two stores and two garages, and a busy primary school as well, to serve a scattered rural population. 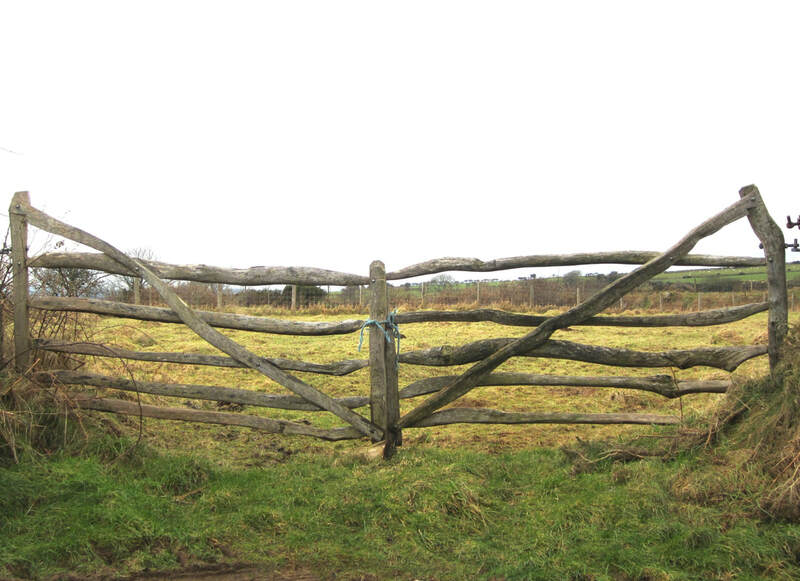 It is effectively the "gateway to Mynydd Preseli" for travellers coming up from the south. The church, with a strangely disproportionate rectangular tower, is not particularly lovely to look at, but inside the church door there are two ancient inscribed stones, one of them made of spotted dolerite. 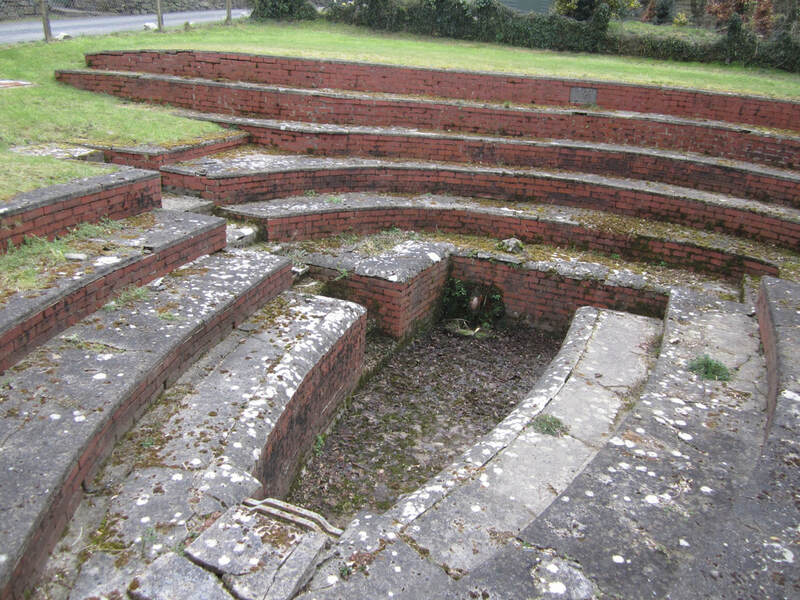 The churchyard is raised and circular, and is probably a burial site of Bronze age origin. Not far away is the interesting old house called Temple Druid. The Maenclochog railway tunnel became famous after WW2 when it became known that it had been used (in conditions of extreme secrecy) by Barnes Wallis and the RAF to perfect the bouncing bombs which were later used successfully in the Dam Buster raids. There used to be a small village here, on the south side of the Teifi Valley. 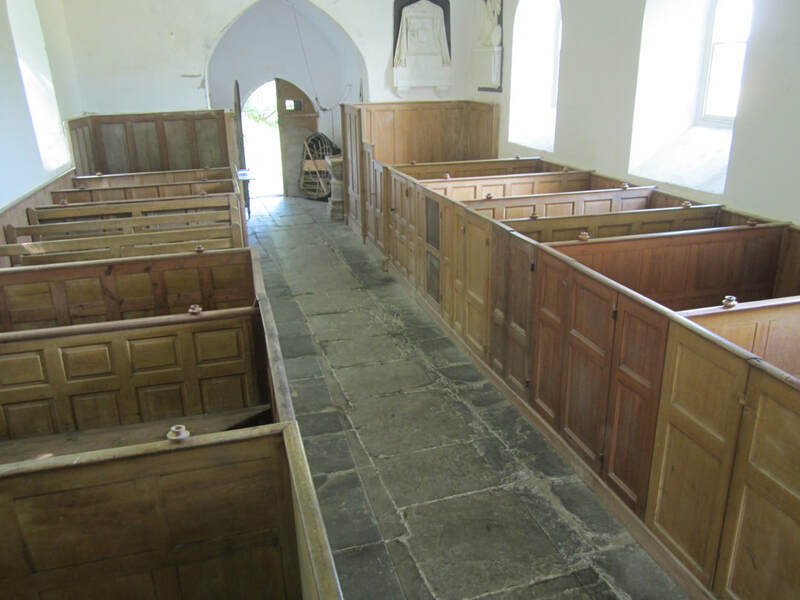 The location is beautifully sheltered, but the valley floor is liable to flooding when the river bursts its banks, and legend has it that the coracle stored in the porch was often pressed into use in the old days when people needed help to escape from the church after Sunday service. 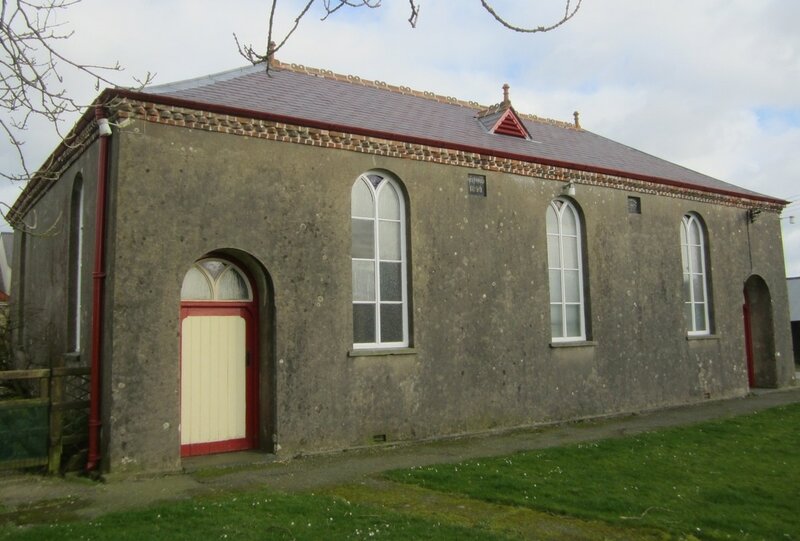 The church is a strange building, made mostly of flattish slate slabs, but the inside is fascinating, with magnificent box pews, including one with its own private stove. 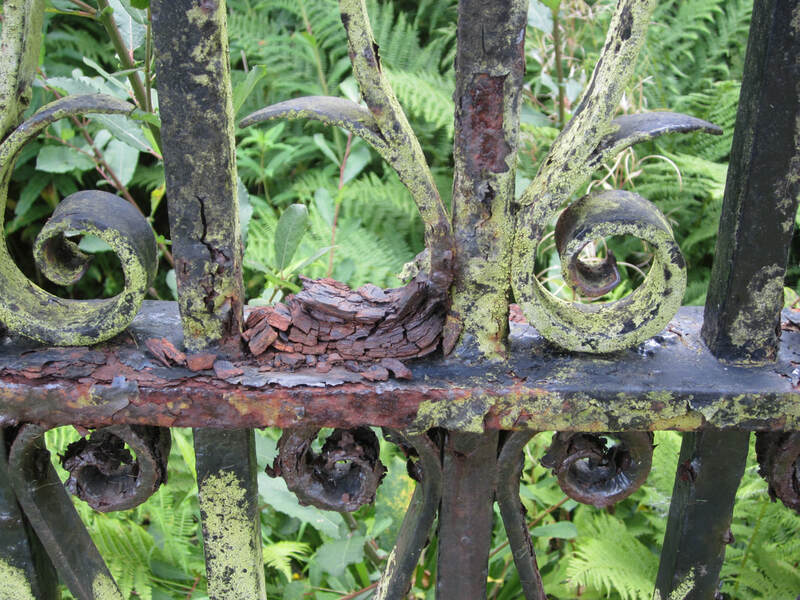 the outside is notable for the very splendid wrought ironwork in the graveyard -- in various stages of decay. 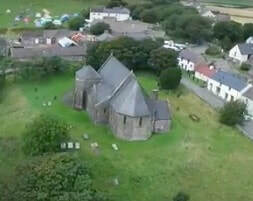 Mathry is a small hilltop village (the only one in Pembrokeshire that qualifies for that accolade) at the base of the Pen Caer Peninsula, to the west of Fishguard. It commands wonderful views in all directions, but it is, in consequence, somewhat breezy and bracing. There's an attractive village green, a pub, a craft workshop and a strange little church dedicated to the Holy Martyrs. There are reputed to have been seven of them -- all brothers. The church has a "chopped off" or stunted tower with a funny little roof on top of it; when the present building was being put up in 1869, a fine tower and spire were planned, but funds ran out....... After recent repair work, the church is now open again. Jemima Nicholas, the famous Welsh cobbler who rounded up all those Frenchmen in 1797, was probably born here. ​Morfil is a lonely place -- with a small scatter of farms now all that is left of a once considerably larger community. We might even call it a "lost village". It is chiefly notable because here there are TWO stories of people seeing phantom battles in the sky above Mynydd Morfil -- causing some to believe that the famous Battle of Mynydd Carn was fought here between two armies of feuding Welsh princes in 1087. In "House of Angels" Martha herself sees a battle in the sky near here, and takes it as an omen of terrible events to come. The railway track in this somewhat surprising location was part of the North Pembroke and Fishguard Railway, built as a link between the main South Wales Line and the port of Fishguard. 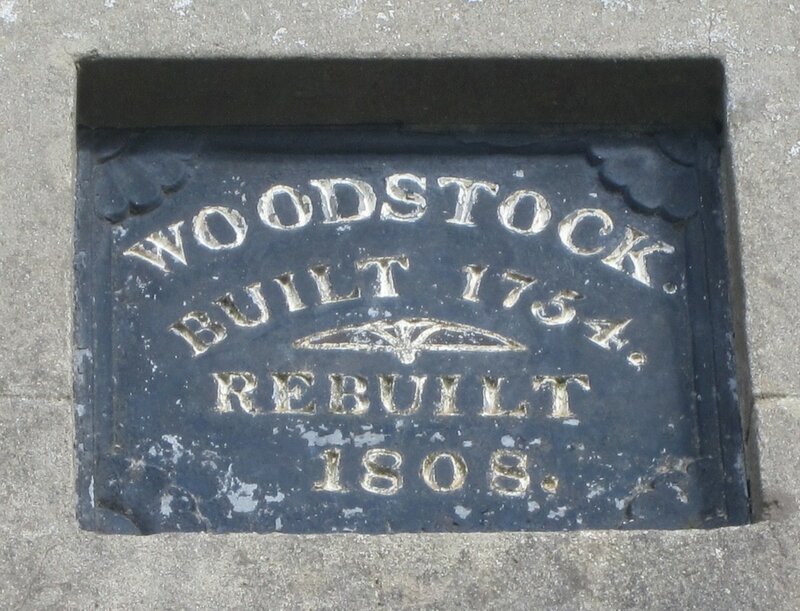 The railway reached Rosebush in 1876, but engineering difficulties and political and financial problems delayed the completion of the section between Rosebush and Letterston, and the line was not ready for use until 1899. The line never was a great success, but it served the communities of North Pembrokeshire with a passenger and goods service until the track was lifted in 1952. The Welsh for Matilda is Mallt and from this has sprung a number of rather eerie legends! Apparently Mallt was an "evil genius" who was also known as "Y Mwnci Mallt" or "Mallt of the mist". Mortals seeing her washing her hands in a woodland stream would die. Sometimes she would be seen at the end of the lane to Penrallt Ceibwr, by men walking home from the pub on foggy nights. 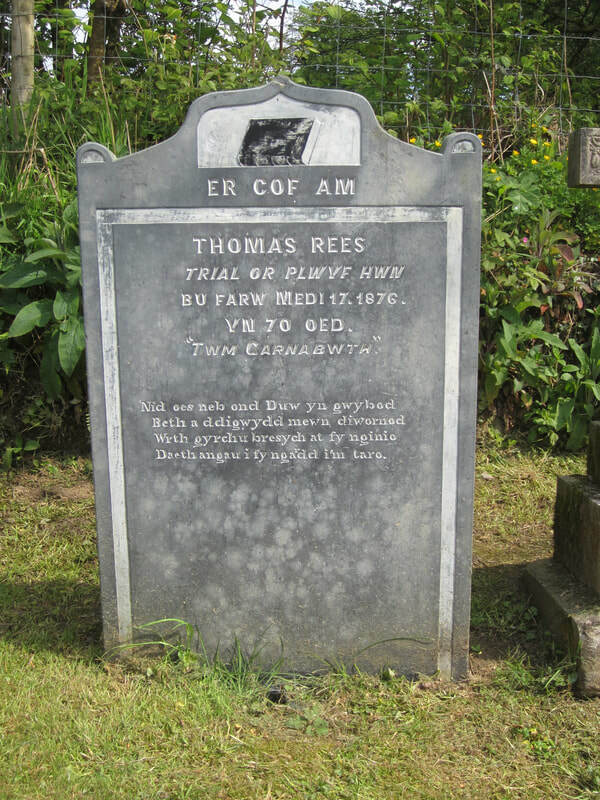 The Welsh name "Trewyddel" seems to be a corruption of Tre-Gwyddel -- which translates to Irishmans Town. 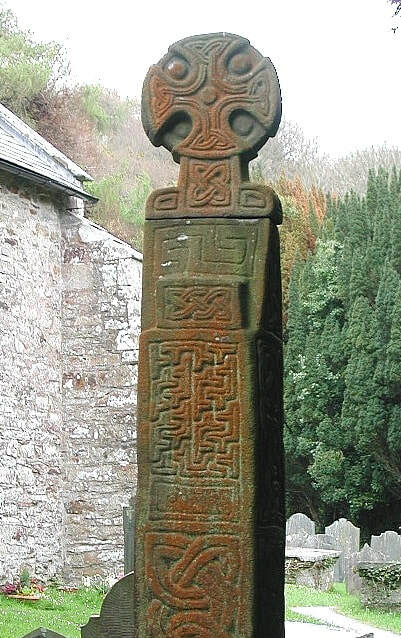 There is evidence of Irish people living in Cemaes from Roman times, as inscriptions on some of the Ogham stones in the area are written in Irish. 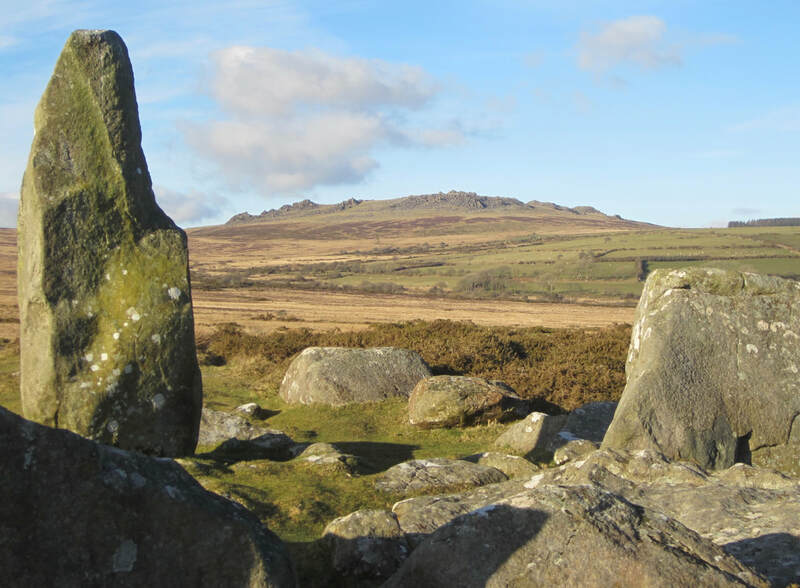 ​How can one not fall in love with this wild and beautiful place in the foothills of the eastern Preselis? There is not much here nowadays, except a cluster of cottages and farms and a chapel faced with spotted dolerite from the nearby rocky tors. There is also a memorial to the famous Welsh poet Waldo Williams. The village and the surrounding district feature prominently in the novel "Rebecca and the Angels." 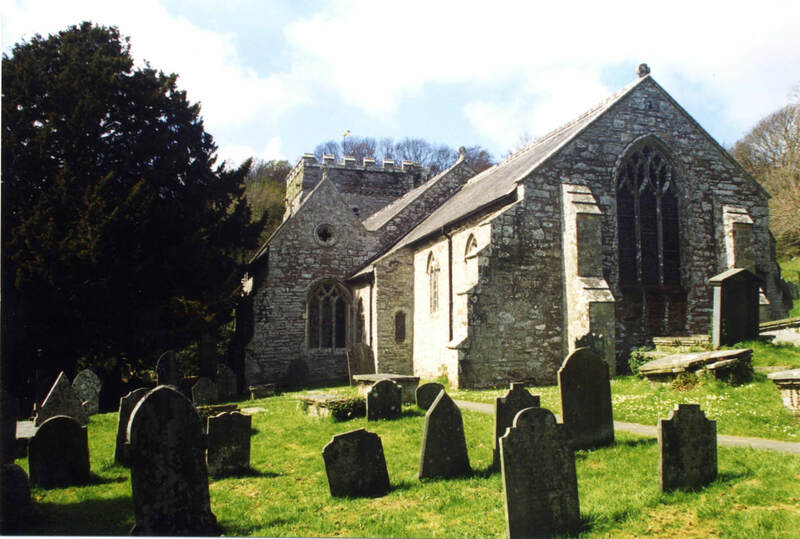 For more on Nevern, see the Story Locations section. This is the main settlement of the eastern part of Cwm Gwaun. In the vicinity of the hamlet the valley is truly spectacular, entrenched by about 100m into the gebtke slopes of the surrounding landscape. 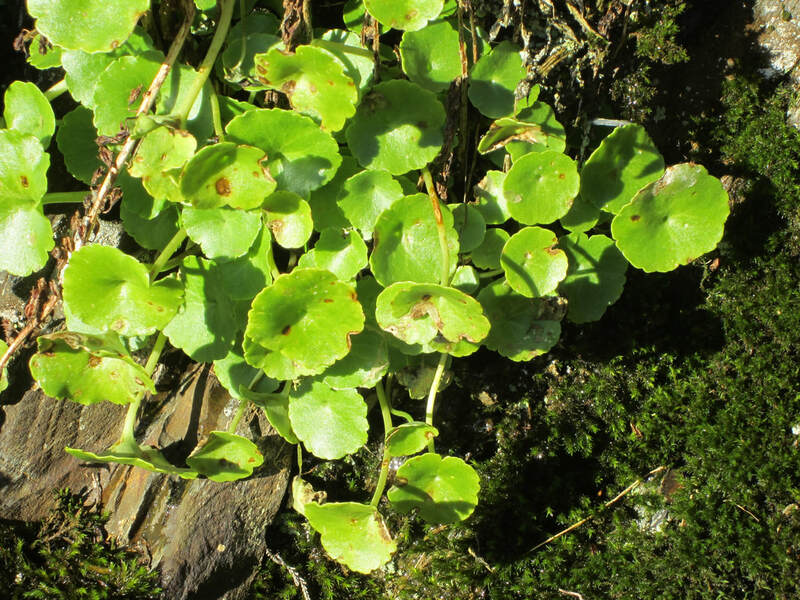 The sides are thickly wooded, and some of the woodlands are old enough and varied enough to be given special protection under the SSSI designation. 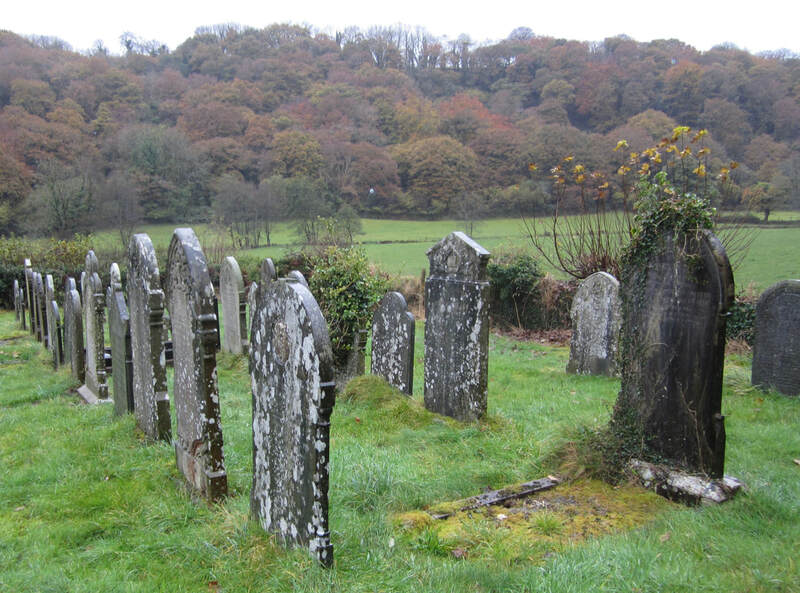 At Pontfaen we find the primary school, Jabes Chapel (and two graveyards), and the Duffryn Arms, known throughout the world as Bessie's Pub. It hasn't changed much over 50 years or more, and the ale is still served from an enamel jug. Across the valley, on its southern side, is Pontfaen House, and a quirky little church. In the Angel Mountain stories the house is the home of the Laugharne family, visited often by Martha before and after her love affair with Owen Laugharne. ​In this remote and pleasant village there is a strong link with the old days of the drovers, in the inn called the Drovers Arms. The drovers were the “cowboys” of the Wild West of Wales. 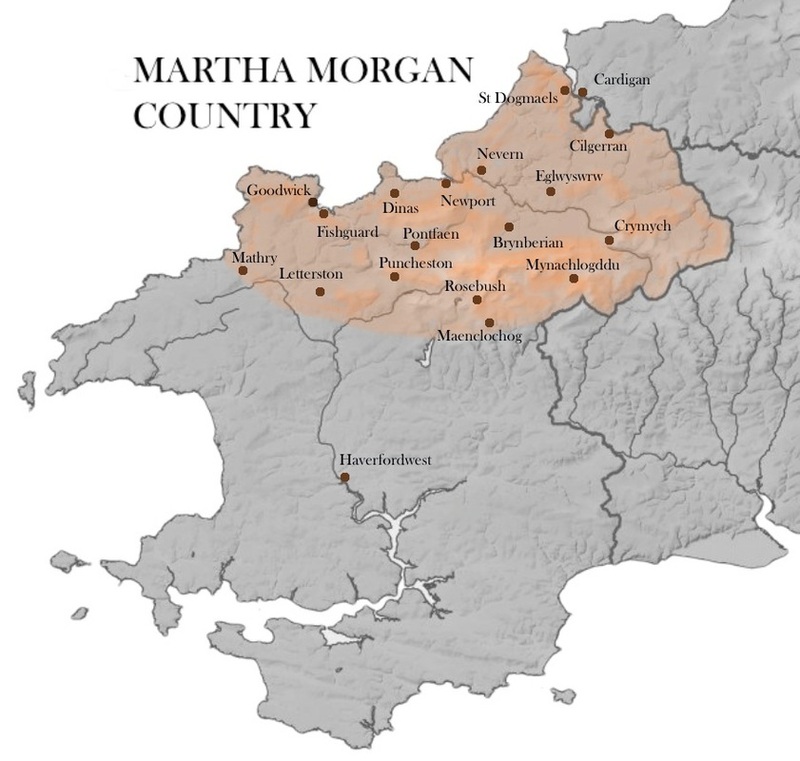 For something like 200 years they moved meat on the hoof from Pembrokeshire towards the growing urban centres of the Midlands and the south-east of England. Their routes kept well clear of the turnpike roads and other rough tracks that carried coaches, carts and travellers on horseback, for herds of several hundred animals were generally not welcome. The preferred routes were in open country, where the animals could graze intermittently and where the men could camp for the night. The herds might travel fifteen miles in a day, and a journey between Pembrokeshire and Smithfield might take three weeks or more. The local farmers who entrusted their livestock to the drovers came to depend on the droving trade for a large part of their annual income, and the drovers themselves were variously heroes, villains, adventurers, bankers, entrepreneurs, and carriers of news. They were not all that interested in animal welfare, and although they tried not to lose too many animals en route many observers were appalled at the cruelty endured by emaciated, filthy and often injured cattle, sheep, pigs and geese. Around the middle of the nineteenth century the droving trade suddenly disappeared, for with the advent of the railways in Pembrokeshire farmers could send their animals to the London market in cattle trucks, with just a few hours between departure and arrival. 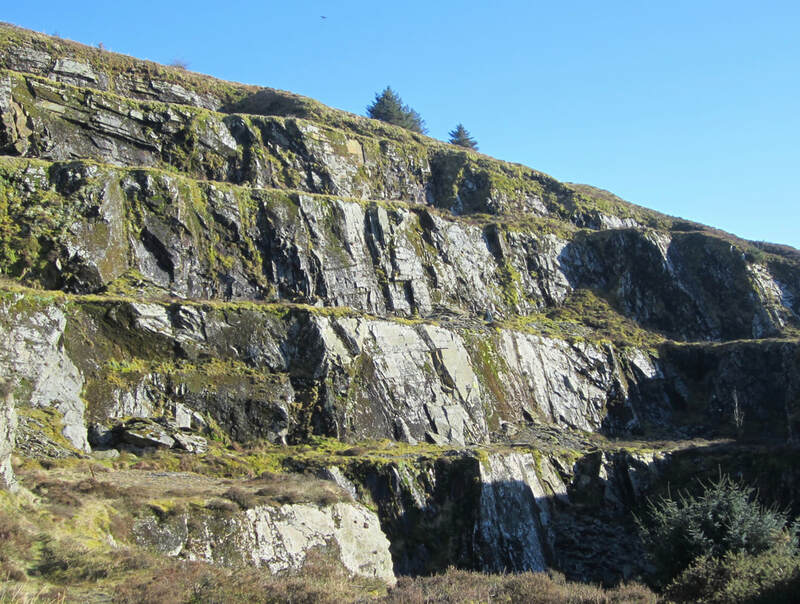 ​Rosebush is the most prominent of Pembrokeshire's slate quarrying sites. Here you can see (from a great distance) the prominent spoil heaps and quarry pits. Quarrying has been going on here for at least three hundred years, with the slate blocks used at first for sills and lintels, grave headstones, steps and scullery work surfaces, and later on for roofing slates. The earliest, northern, quarries at Rosebush were referred to as the Bellstone Quarries, probably named to indicate an association with Maenclochog (which means “ringing stone” or “bellstone.”) The three southern pits are known as the Rosebush Quarries proper. They were opened up commercially as a result of a collaboration between Edward Cropper and Joseph Macaulay, around 1870, and they worked for about thirty years. From 1876 onwards most of the output of the quarries was transported by rail, on the newly completed Maenclochog Railway. Nearby there is a long terrace of simple houses. This is the Rosebush “Quarryman’s Row” which provided housing for quarry workers and their families. The houses were very small, and some of them seem to have had just two rooms, one downstairs and one upstairs. They have been modified since, with the addition of internal partitions, extensions built onto their fronts, and conversions involving the joining of adjacent properties. Look for the tell-tale signs of bricked-in doors. 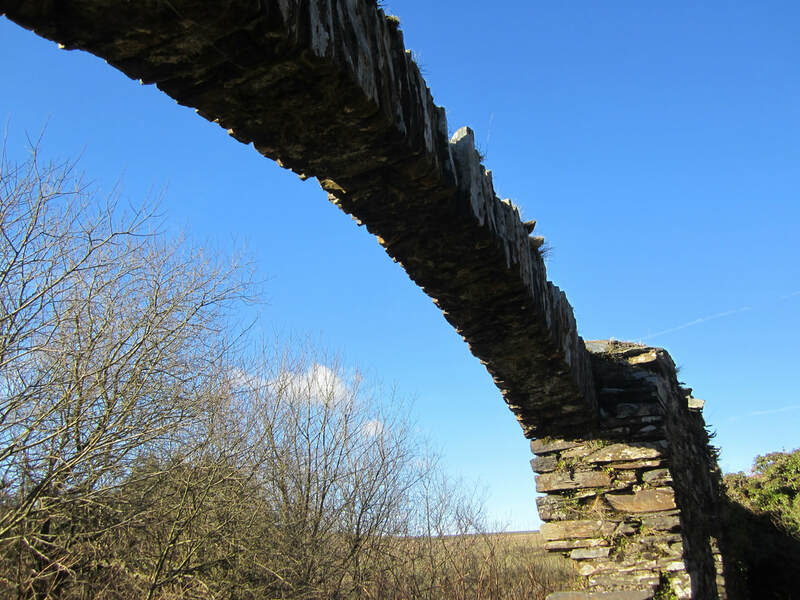 All of the roofs were originally made of Rosebush slate, and around 1950 most of them were covered (in traditional Pembrokeshire fashion) with layers of protective cement wash. Now, ironically, most of the roofs have been rebuilt with artificial slates. 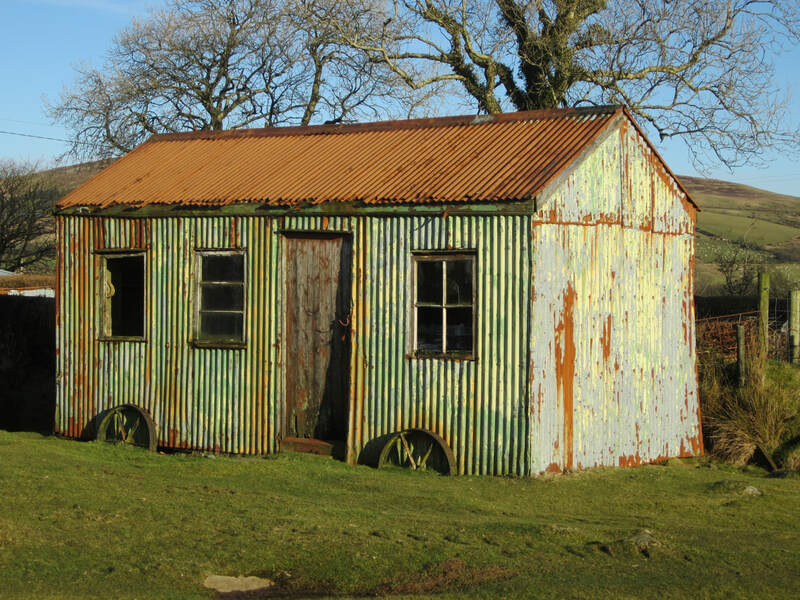 At the end of the row there was a cottage used for the payment of wages to the quarry workers. Next door was the shop and the quarry manager’s house, later converted to a post office and restaurant. In the text below all entries are arranged alphabetically, reading straight down the column. When you get to the end of Column One, make your way to the top of column Two. 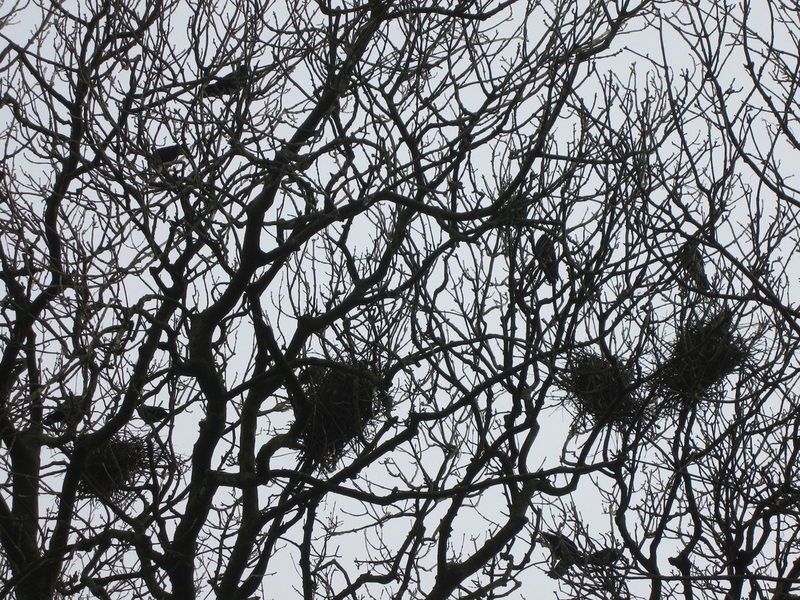 Some towns and villages are described in "Story Locations" and in "Favourite Places." Use the search box to find a particular place -- it will bring you to the right page, but you will then have to scroll down to find your place in the alphabetical sequence. There are still some places missing. We are working on it! 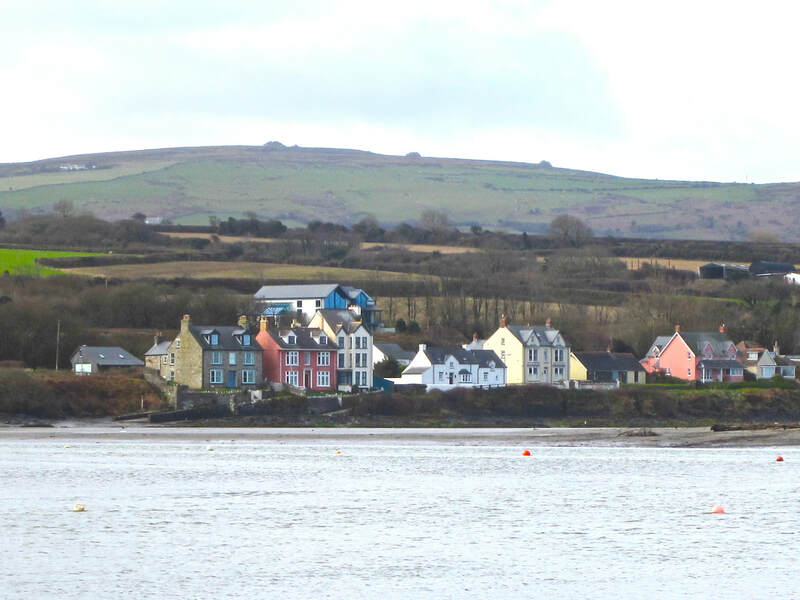 The village (one of the largest in north Pembrokeshire) stands on the opposite side of the River Teifi to Cardigan. It contains the remains of a 12th century Tironian abbey, which back in its day was one of the richer monastic institutions. The original abbey church is in ruins, but there is a more modern one next door. Not far from the remains of the abbey and its Coach House visitor centre stands Y Felin, a water powered corn mill renovated in 1980 by Mike and Jane Hall. It's one of only two working watermills in Wales. As is the way with watermills, the millpond is sometimes full of water, and sometimes not. The mill provides a range of stoneground flours and still has the machinery that was installed in 1820. 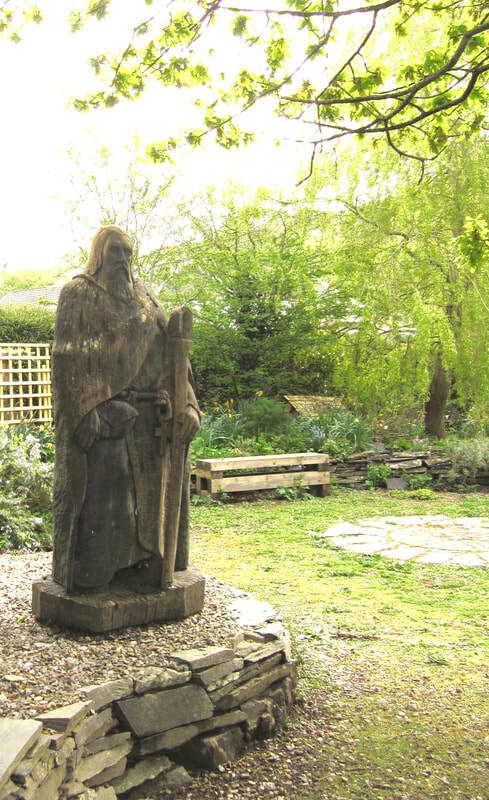 It is thought that the mill was first built by the monks from St Dogmaels abbey. Bread, flour and cakes can be purchased from the mill, and there is a tea room next door offering homemade scones and cakes for visitors to enjoy whilst watching the wheel turning. There is a thriving commercial life here, with shops, inns, restaurants and other businesses benefitting from the proximity to Cardigan. There was much maritime trade in the days of the sailing ships, and many of the better houses were built by shipowners and ships' masters. Many of the village properties were once fisherman’s cottages, some of which could only be accessed by foot up the steep and winding paths which run through the top end of the village. They still have no vehicular access. 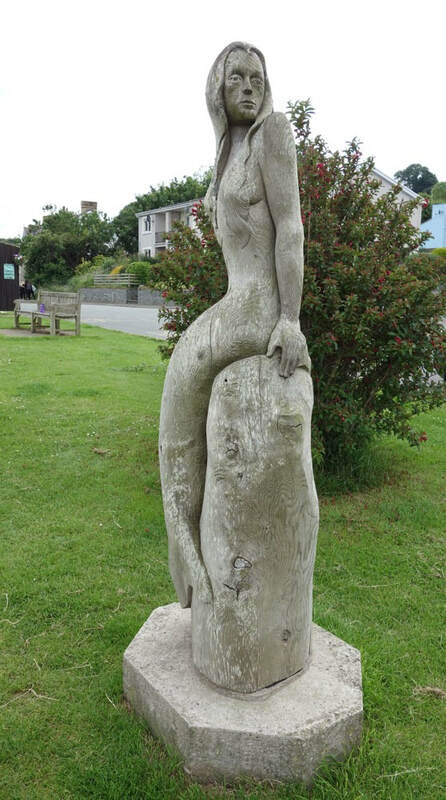 There's still a distinctly nautical feel to the place, and down by the slipway on the way to Poppit, close to the official start of the Pembrokeshire Coast Path, there is a wooden statue commemorating the famous mermaid said to have saved the life of the fisherman Peregrine during a fearsome storm. Poppit sands beach is located where the River Teifi meets the sea. It's a blue flag beach backed by sand dunes -- mercifully uncommercialised apart from a small cafe and car park, and an RNLI inshore lifeboat station. 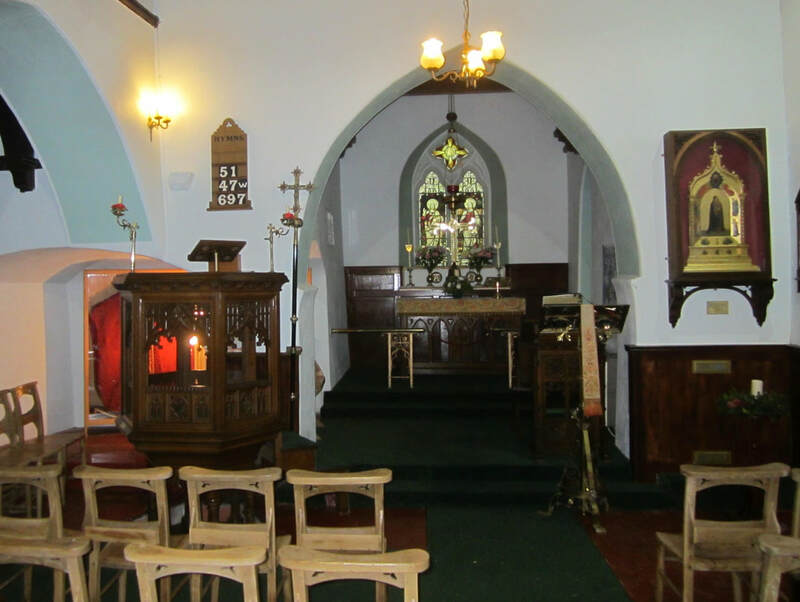 ​On the roadside in Cwm Degwel you will find one of the most "theatrical" of all the baptistries in Wales, belonging to the chapel at Blaenwaun. Here you can still be baptised by full immersion, if that is your wish, in full view of a vast congregation of the faithful. 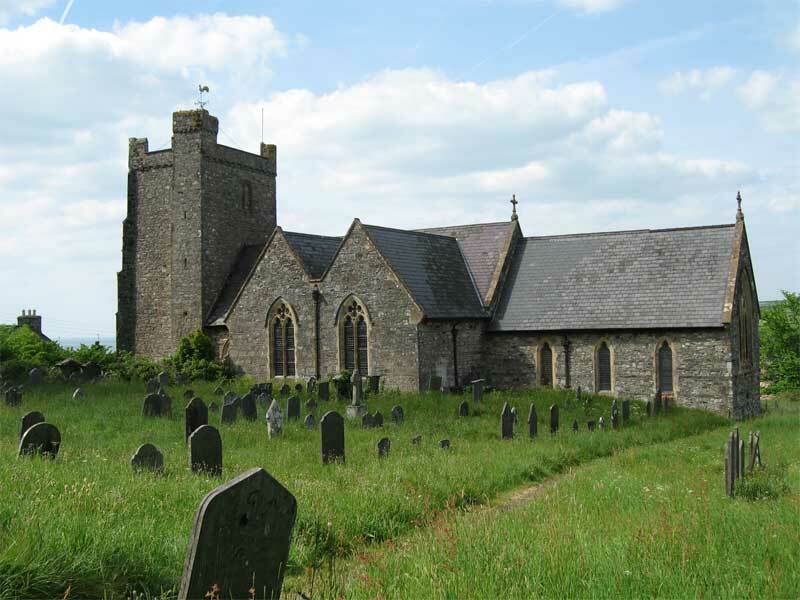 St Nicholas is a peaceful village at the edge of the Pen Caer peninsula. The church -- greatly Victorianised -- stands on a raised mound which looks as if it might be prehistoric in age. 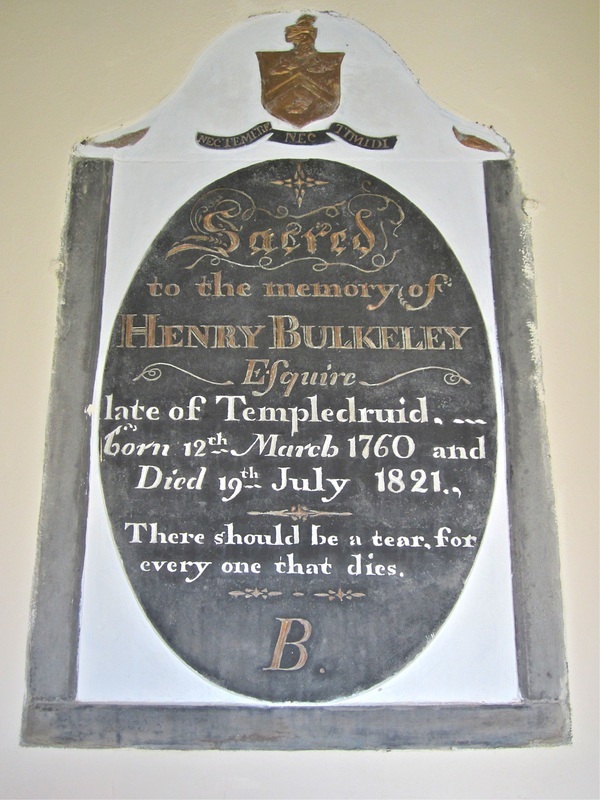 There is a grave slab in the church which is dedicated to an Irish Christian princess from the Dark Ages. There is no Rectory or Vicarage in the village -- but there is something rather rare, called a Parsonage! 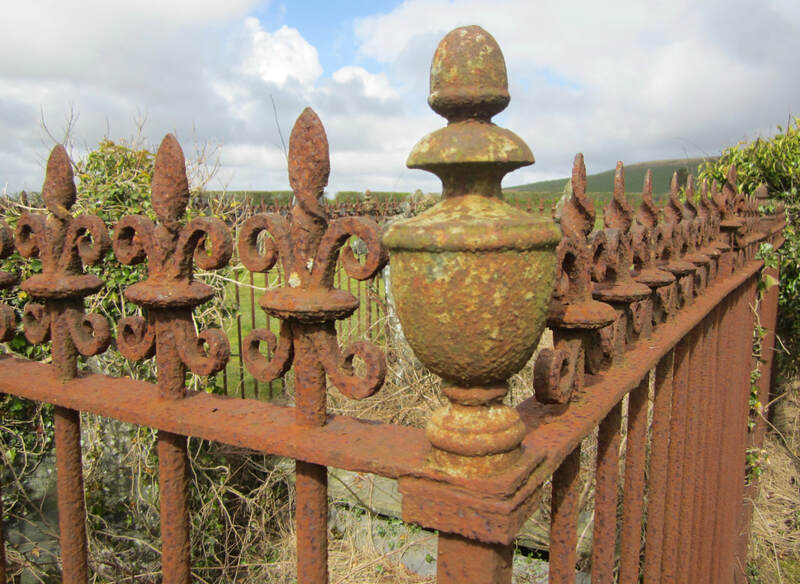 Trecwn is located at the entrance to the most spectacular valley in Pembrokeshire -- but it has been closed to public access since 1938. The history of the old village in the 18th and 19th centuries is linked with the Vaughan family and then the Barham family, who occupied Trecwn Mansion and ran a sizeable estate. Admiral John Vaughan was a supporter of the Methodists, and John Wesley visited and preached here on several occasions in 1777-84. The Barhams funded the building of the Barham Memorial School in 1877. It closed in 2001 following the closure of the armaments depot. The Royal Naval Armaments Depot at Trecwn was commenced in 1938 as a storage and distribution depot for naval mines, and it was reputably never located by the Luftwaffe during WW2. It subsequently handled all types of naval munitions and in its latter years some RAF missiles. The depot employed between 400 and 500 staff. To0 provide for them and their families, three housing estates were built in the village. The houses are mostly still occupied, with the exception of the depot commandant's house which is quaintly named 'Ordnance House'. The depot continued to operate through the cold war until the early nineties when it was placed on a care and maintenance basis. In 1998 it was sold for £329,000 to Omega Pacific, an Anglo Irish consortium. Omega Pacific at first proposed that the tunnels could be used for storing low-level nuclear waste -- but unsurprisingly that plan was shelved owing to public opposition. In 2001 German company EBV suggested using the site for weapons reclamation -- but that plan fell by the wayside too. The tunnels and railway tracks are largely intact. However, the site is entirely surrounded by a secure steel fence topped with barbed wire, which runs along both sides of the valley, for a distance of three miles. On the valley floor, a private road 2 miles long brings you from the main gate with the usual guard facilities and a weighbridge to the other entrance close to the village of Llanychaer. The main buildings at the Trecwn end are the staff facilities and canteen, and secure and reinforced factories used originally for the testing and handling of munitions. There is a large boiler house for the production of steam which was once piped on the surface to various buildings around the site. 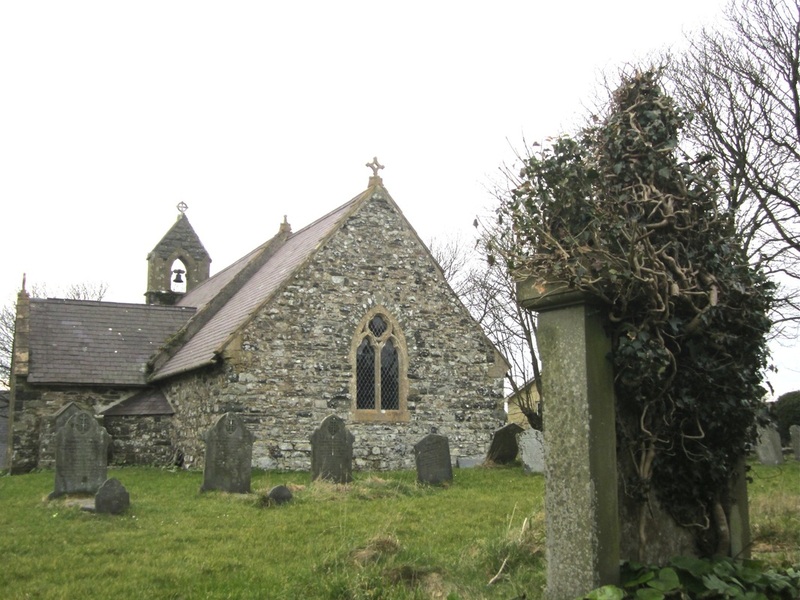 Trecwn was a community in its own right until 2007; however, the population decreased significantly from 366 to 260 in the years 1980 to 2006, and it was merged into the community of Scleddau. ​Tufton is a small village or hamlet on the B road between Haverfordwest and Eglwyswrw. Maybe we should call it one of those "lost villages" because at one time it was certainly much larger than it is now. It has a nonconformist chapel and a pub, and some distance away there is a rather spectacular TV transmitter mast. 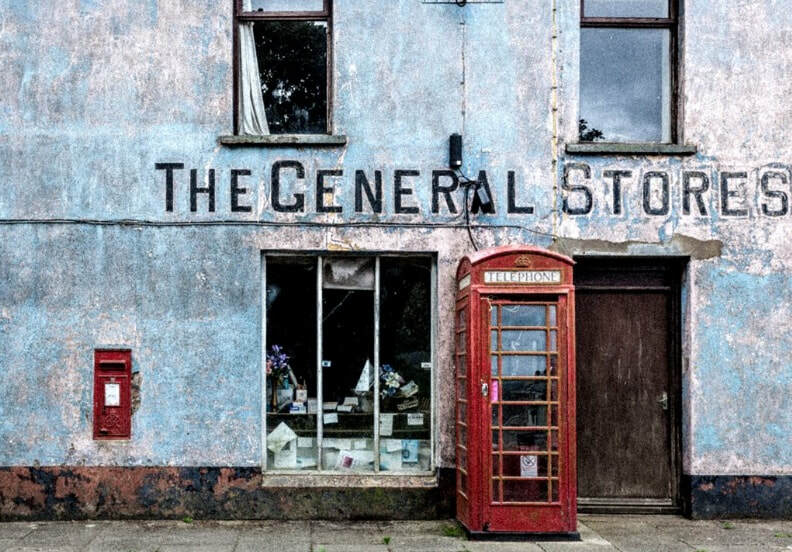 Perhaps Tufton's main claim to fame is that it was once the home of a very wonderful corrugated iron village store, which I remember well from 40 years ago as the Gwalia Stores. When it was closed in 1982 it stood empty for some years and was then rescued for the nation. It found its way to the Pembrokeshire Museum at Scolton Manor, where it can be visited today, packed with nostalgic groceries....... or at least the nostalgic packaging. 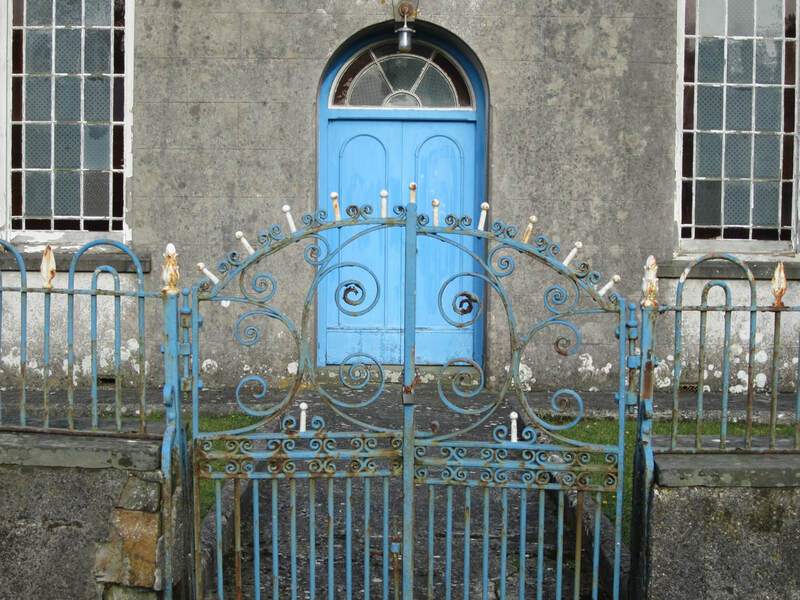 This little hamlet on the Haverfordwest - Cardigan road is chiefly notable for its charming chapel -- squat and somewhat austere. 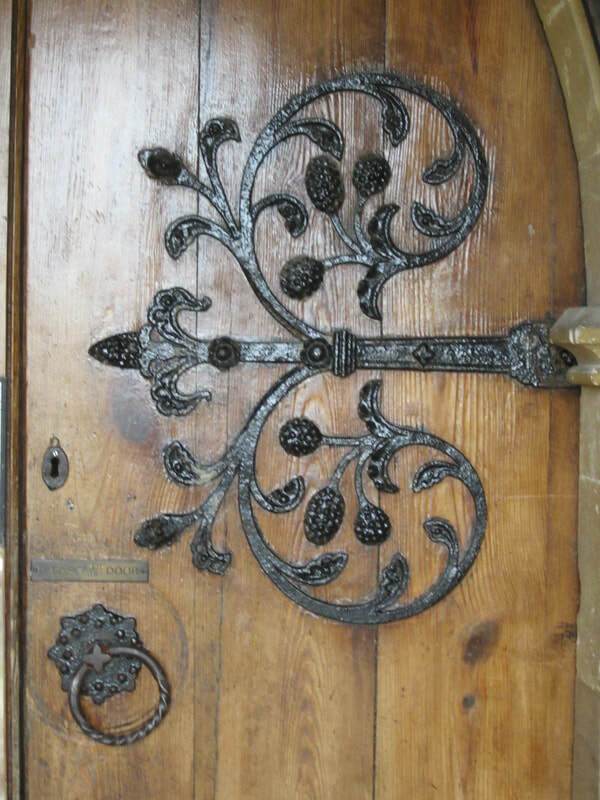 It's very old, tracing its origins to 1754, in the early days of nonconformity in Wales. It has been substantially rebuilt and enlarged since then.